Fresh, crunchy peas picked straight from the plant are absolutely delicious and growing pea plants is a great idea where space is a premium. 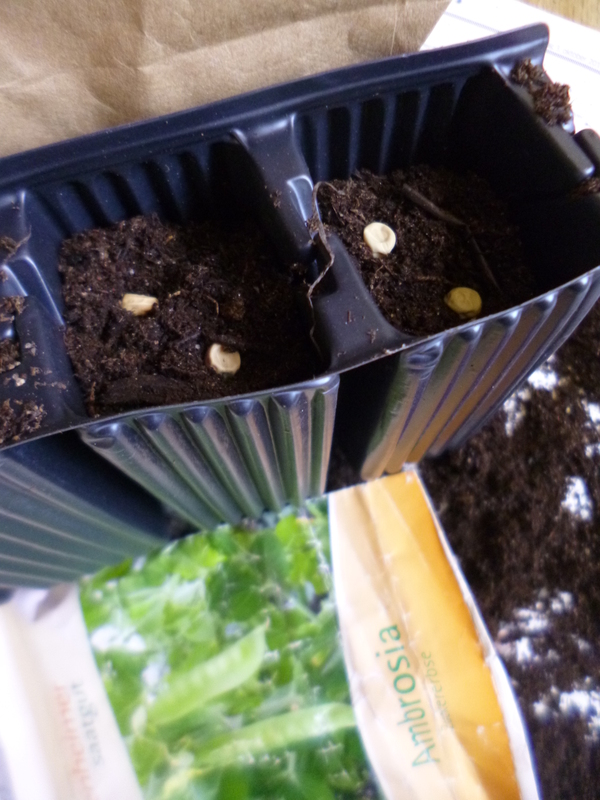 I’m planting some Ambrosia peas today, a sugar pea variety that grows to about 70cm high and doesn’t sprawl. If you harvest the pods while they’re still young, you can eat them as a mangetout pea, pod and all. I’m using Root trainers, but another great cheap alternative is to use old toilet rolls! They’re long and slim which is ideal for peas. Just fill with soil and, using your finger, make a hole about one inch in depth. Place two pods in each pot and cover with soil. Water them then put them on a sunny window sill covered with a plastic bag. This maintains a constantly warm environment, like a mini greenhouse, until the pods germinate. 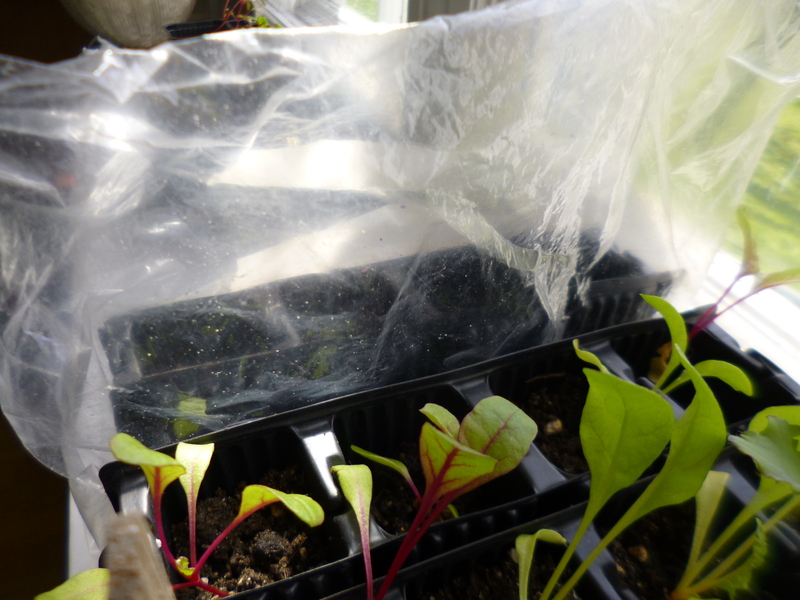 Keep the soil from drying out by moistening it with a mister (convert an old spray bottle is the easiest way) Once the little shoots appear, remove the plastic cover. When the seedlings have grown to be a few inches high with around four or five sets of leaves pinch out the top of the stem and this will encourage more growth from the sides and make for nice bushy plants with lots of flowers and therefore yummy peas. Categories: Food growing | Tags: peas, root trainers, toilet roll | Permalink.